People are drawn to Kabbalah courses and the Tree of Life for many and varied reasons. For some it is personal development and understanding. For others it may be their interest in sound or vibration or colour or sacred geometry or working with liquid crystals. Astrologers and tarot readers gain greater depth of understanding. The Tree offers inspiration for ALL. All options give you an experiential working of the entire Tree and are the prerequisites for moving into a more advanced stream where we meet to explore more esoteric concepts. For many of us, the Kabbalah becomes a life long journey of exploration and enjoyment within the support of a like-minded community. Kabbalah courses meet weekly in Torquay. We will meet for 6-8 week terms over the course of a year. We will explore different chants and different meditations, and we will be learning Hebrew letters. Added to this will be some basic astrology and tarot. This course will give you the building blocks to construct the Tree of Life. All participants will receive a comprehensive manual and workbook. They will have their own astrology chart prepared and mapped on the Tree. 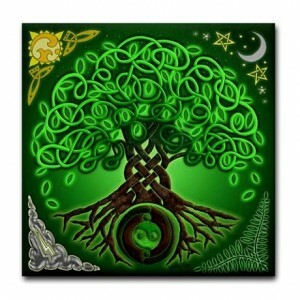 It matters not what you know or don’t know about astrology … you will come to understand it as we build the Tree. And the same applies to the Tarot. You will come to understand the cards at a personal level as we construct our Tree. There will be time for private journalling in each session. Our natal charts provide a map of the possibilities of this life. The Tree of Life is a map of our spiritual and psychological evolution. By combining these two systems we have a graphic description of this incarnation and how we can work towards a greater balance and equilibrium in our lives. As soon as you begin working the Tree of Life, you are signalling to the Universe that you are ready for change. Participants are encouraged to keep personal diaries of their experiences. Kabbalah is committed group work. We commit to 6-8 sessions at a time. This builds a group energy or “soul” and is most important for our exploration of the Tree. ALL EXPERIENCES WITH THE TREE ARE PRIVATE. There will be no group sharing unless people are keen to. COST: $30 per session plus $60 for your fabulous personalised manual/workbook including astrology chart. This manual will be the basis for all future exploration on Tree of Life. There will be handouts on some weeks which you can add to this manual. PREREQUISITE: Your enthusiasm! And a willingness to explore and grow. we can talk about anything and everything, something that we are unable to do in a class setting. you are given handouts each week as well as homework (which of course is optional). tuition is flexible – meeting every second week is ideal, but you can equally meet three weekly or monthly. Your learning is in your hands! And of course …. Tuition is flexible as regards your knowledge base and what you would like to work on. 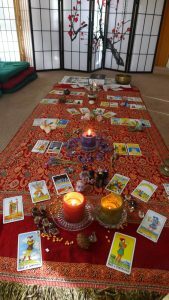 When we work privately, we work more in depth with your astrology chart. Your natal chart will show the areas in life that need a little attention. We can then work the corresponding part of the Tree. FINALLY … the number of private sessions is TOTALLY up to you! Some people continue throughout the year. Others prefer a few sessions because this may be all they need.